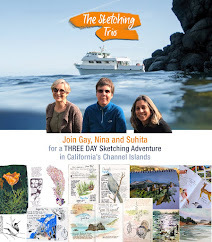 Apple-Pine: Trip to Bonaire - Mini Gouache Paintings. 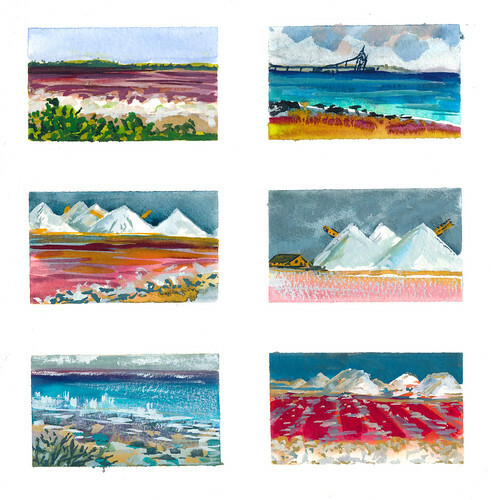 Trip to Bonaire - Mini Gouache Paintings. Bonaire has beautiful salt pans and pyramids. Crazy colors and huge mounds of crystals can be seen from the road. I drew from the pickup to have a better view of the waves.